Scholar, writer, editor of The Crisis and other journals, co-founder of the Niagara Movement, the NAACP, and the Pan African Congresses, international spokesperson for peace and for the rights of oppressed minorities, W.E.B. 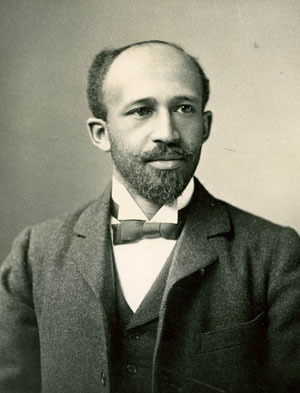 Du Bois was a son of Massachusetts who articulated the strivings of African Americans and developed a trenchant analysis of the problem of the color line in the twentieth century. Includes over 100,000 items of correspondence (more than three quarters of the papers), speeches, articles, newspaper columns, nonfiction books, research materials, book reviews, pamphlets and leaflets, petitions, novels, essays, forewords, student papers, manuscripts of pageants, plays, short stories and fables, poetry, photographs, newspaper clippings, memorabilia, videotapes, audiotapes, and miscellaneous materials.